By Dr. Aaron Thompson, Executive Vice President and Chief Academic Officer, KY Council on Postsecondary Education. 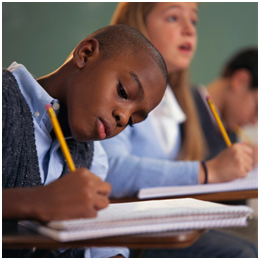 Discussions about school reform and underachievement often portray diversity as an issue to overcome. Yet rather than being an obstacle to student learning, diversity can instead be viewed as an asset schools can build on. What diverse student populations bring to school are multiple perspectives, rich cultural heritage, and experiences that can deepen collective understanding of the world in and beyond the school. Diversity matters! Our educational system derives from a factory model built on standardization of inputs and outputs, and while most people would concede that model has outlived its usefulness, changing basic structures has proven difficult because of the underlying beliefs. These include beliefs about intellectual capacity as innate and fixed, rather than malleable and capable of growth; also, that everyone learns in the same way and at the same time. Yet we know that people are much more variable than a factory design of schooling would have us believe. An alternate perspective on schooling is needed, one that reflects both the diversity in our schools and the diversity in the larger society for which we prepare our students. The word diversity derives from the Latin root diversus, meaning “various.” Thus, human diversity refers to the variety of differences that exist among people who comprise humanity (the human species). The relationship between humanity and human diversity may be viewed as similar to the relationship between sunlight and the spectrum of colors. 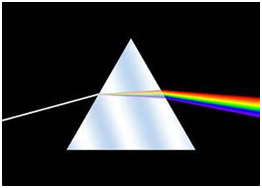 Similar to how sunlight passing through a prism is dispersed into the variety of colors that comprise the visual spectrum, the human species spanning planet earth is dispersed into the variety of groups that comprise the human spectrum (humanity). Human diversity expresses itself in a multiplicity of ways, including differences in external features, national origins, cultural backgrounds, physical and intellectual abilities, ways of learning, and sexual orientations. Some of these dimensions of diversity are obvious; others are subtle, and some are invisible. Although humans have been classified into different cultural groups, all of these groups are still cultivated from same soil—they’re all grounded in the common experience of being human. Thus, cultural diversity represents variations on the common theme of humanity. Human variety and human similarity coexist and complement each other. What if we organized schools based on these ideas? Instead of standardization of curriculum, tests and learning models, we build on the notion of human variety and humanity so that we develop the potential of each student. An article in Phi Delta Kappan (May 2014) entitled Student Disengagement: It’s Deeper than You Think notes that “schools do little to fit themselves to students.” That is the challenge we must meet as educators, to fit schools to the diversity and humanity our students bring. Visit our 20th Anniversary event page for other related blogs and information. This entry was posted in Blog and tagged 20th Anniversary, academic success, achievement, diversity, education reform. Bookmark the permalink.